Also. there are some smart guys can root the phone and delete a file named ‘services.cn.google.xml’ from \system\emui\china\permission folder (Huawei phone), and reboot the phone, clean data and cache of Google Play Store, and can resolve the 404 issue. So if you can root the phone, and you can do professional job, you can try to do that but please note you are going to take your own risk. Good luck ! 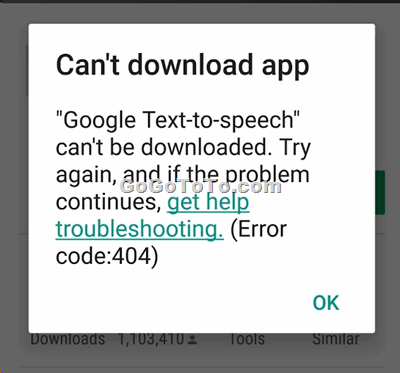 Update 01: At around 10pm east time on Feb 05 2018 , when we had a time to test on a Huawei Mate 9 Pro phone which got the 404 error code previously, we found apps can be downloaded. So it looks like the Google Play Store 404 issue has been fixed. The phone owner did not do extra operations today. But the owner did try Google Play Store data and cache cleaning that are mentioned in this blog yesterday. Just in recent week, there are some Android phone users, who are using some brands of smart phones from Asia countries (but not all of them are from there), such as Huawei, ZTE axon 7, Xiao mi, even Samsung galaxy note 5 (not sure where this phone is from), can not download or update any apps from Google Play Store. User tried multiple ways but still could not get fixed. Mostly, users have tried the following actions: Clean Google Play Store cache, Clean Google Play Store data, Restart Phone, Clean Google Service cache, Clean Google Service data, Uninstalled Google Play Store, Rest to Factory Setting, Set DNS to 8.8.8.8 and 8.8.4.4, even flash the factory ROM. Unfortunately, no one worked yet. So we can only guess the problem might be from Google Service, but we are not sure. What the user can do is just waiting. Possible Google or Huawei can provide official message soon later ? At present. Huawei phone users can either download apps from Huawei Apps Store, or try to download app’s apk files from websites. check more discussions from here. Can Not Find Out HERE Drive+ App on Windows Phone and Windows Store? Next Next post: Your ISP is Hoarding Your Personal Data ?